How Does Polar Ice Melting Affect the Environment? While much of the Eastern and Central U.S. was dealing with record low temperatures thanks to the polar vortex – like the -52 degree Fahrenheit wind chill Chicago experienced Jan. 30 – the Arctic was actually going through a heat wave. As the Climate Change Institute at the University of Maine reports, the Arctic's temperatures during the peak of last week's polar vortex ranged from 10 to 15 degrees Celsius (about 18 to 27 degrees Fahrenheit) higher than normal. And, incidentally, the Antarctic was about 5 degrees Celsius (about 10 degrees Fahrenheit) warmer than usual, too. While scientists are still looking into the connection between winter superstorms (like the polar vortex) and global warming, one thing's for sure: The Arctic and Antarctic can't afford to experience warmer-than-seasonal weather. We're experiencing record glacier melts – ones that pose a serious threat to everyone around the world. Here's the latest in global glacier news, and how it could impact you. Ice melting in the Antarctic has been a (pardon the pun) hot topic for years – but scientists have just discovered a massive hole in the Thwaites Glacier, one of the most unstable glaciers in the Antarctic. And when we say massive, we mean it. The hole is roughly two-thirds the size of Manhattan, and large enough to hold 14 billion tons of ice. And the hole is bad news for the overall stability of the glacier. As the New York Times reports, holes in the ice make the glacier melt faster overall. The Thwaites Glacier melt is already responsible for about 4 percent of the rising sea level we've experienced so far – and if it melted entirely, it would raise the sea level by 2 feet. Scientists are still learning more about the Thwaites Glacier, and any other holes or stabilities that might develop in the future. But for now, the finding drives home the urgency of addressing climate change to prevent a global crisis. Arctic ice melting isn't exactly news – but scientists are still stunned at just how fast it's melting. A new, devastating report published in the journal Proceedings of the National Academy of Sciences in January reported that Greenland's ice cap is melting four times faster than previously thought. The researchers explain that the melting might be happening because of a climate phenomena called North Atlantic Oscillation. Sounds complicated, right? But it's actually pretty simple: cloudy conditions when the North Atlantic Oscillation is in a "positive" phase help block the sun's rays and encourage freezing, while sunny conditions when the North Atlantic Oscillation is in a "negative" phase trigger melting. Previously, the "positive" and "negative" phases balanced out – ice that melted in the sun would freeze again when it got cloudy. But overall global warming has thrown off that balance, so the ice can't freeze quickly enough to make up for the melt during the sunny phase. Scientists are still trying to make sense of exactly how Greenland's ice melt will impact the world. But it's likely to contribute to overall sea level rise, especially in Southern Greenland. Unfortunately, unprecedented ice melt's aren't just happening on the poles. 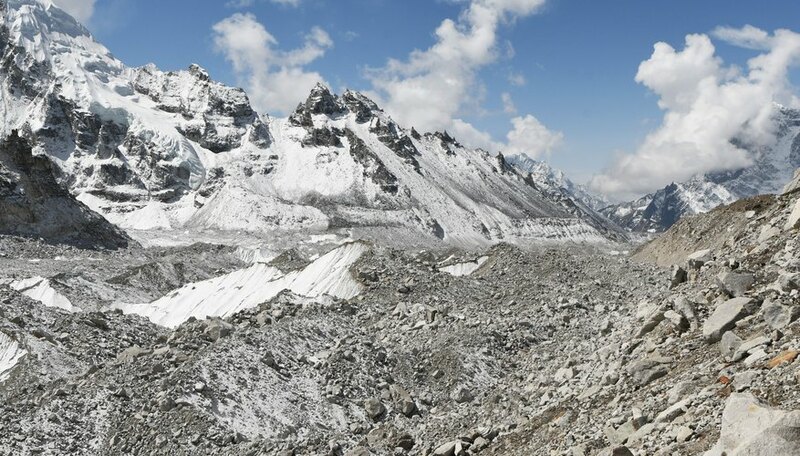 A new study – the The Hindu Kush Himalaya Assessment – released on Monday reports that the Himalayas could lose a staggering two-thirds of their glaciers by 2100. The reason? The Himalayas are likely to experience extreme global warming, up to 4.4 degrees Celsius or 8 degrees Fahrenheit, the report states. 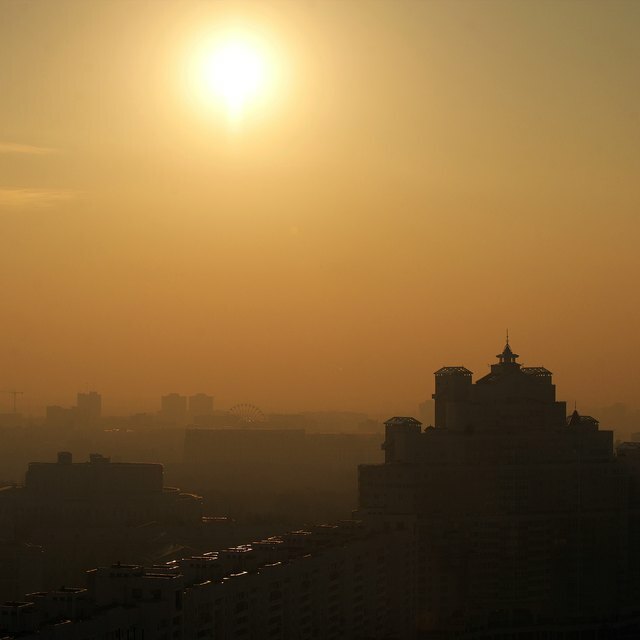 Such extreme melting isn't just an environmental disaster, it's a global public health crisis. The glaciers in the Hindu Kush Himalayan Region supply water to roughly one-quarter of the world's population, the New York Times reports. Loss of drinking water affects food production, too, and could force billions of people from the region. The effects of the melt underscore the need for a global response to climate change to prevent a global disaster. We'll be honest: There's no good news linked to record glacier melting. But one (very small) silver lining is that the melted ice uncovers plant life that's been, well, frozen in time for thousands of years but is now available to study. That's what a team of scientists has discovered on Baffin Island, a part of Northern Canada. Through carbon dating, they confirmed that the moss-like plants discovered at the edge of glacial melting are at least 40,000 years old – and speculate they might actually have grown closer to 115,000 years ago. Studying the ancient plant life as it's uncovered will give researchers insight into previous cycles of global warming and cooling in Northern Canada – and, potentially, get more insight into how plants will fare with our current warming. What Happens If Ocean Currents Stop? Tremblay,, Sylvie. "Climate Roundup: Grim Glacier Melting News in Greenland, Canada and the Himalayas." Sciencing, https://sciencing.com/climate-roundup-grim-glacier-melting-news-in-greenland-canada-and-the-himalayas-13717067.html. 05 February 2019.